We are pleased to announce that we have relaunched our website. 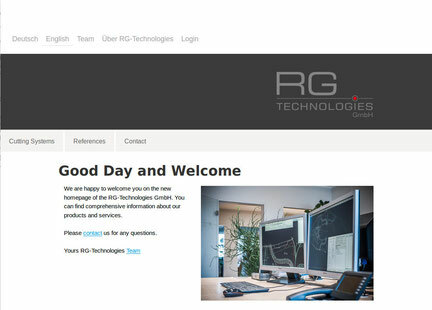 With a new design and increased content management our new website www.rg-technologies.de features our current product und services portofolio. The german version is live since October and our team is currently working on the English version. Soon we will be able to present RG-Technologies with our English website version to our international customer and clients. Please contact us if you have any questions to any product and services of RG-Technologies. We will be pleased to provide you all the information you need.